The 2019 Mercedes-Benz GLE is available in 6 trims; GLE 400, AMG GLE 43, AMG GLE 63, AMG GLE 63S, AMG GLE 43 Coupe and AMG GLE 63S Coupe. Several different engines are offered amongst those various trims, starting with a twin-turbo 3.0L V6 making 329 horsepower and 354 lb-feet of torque. A more powerful version of the twin turbo 3.0L V6 engine makes 385 horsepower and offers a good compromise between fuel economy and power. Two 5.5L twin-turbocharged V8s are offered at the top of the range, the standard version making 550 horsepower, while the more powerful "S" version makes 577 horsepower and 561 lb-feet of torque. The V6 engines are paired to a 9-speed automatic transmission, while the V8 engines get a 7-speed automatic transmission. All models feature the 4MATIC all-wheel drive, which sends power to the wheels based on road conditions. Whether the road is slippery and wet or dry pavement, the 4MATIC will provide confident driving in all road conditions. The base GLE 400 comes with the twin-turbo 3.0L, 329 horsepower, V6 and a 4MATIC all-wheel drive. Standard features include 19-inch wheels, heated front seats, dual-zone climate control, power folding rearview mirrors, synthetic leather upholstery, leather steering wheel, wood trim, dual 12.3-inch screen gauges and infotainment system, Bluetooth audio streaming, a rear-view camera and a power liftgate. The GLE 43 and GLE 43 Coupe benefit from the more powerful 3.0L V6 engine, making 385 horsepower. Standard features include 20-inch wheels, performance tires, adaptive computer-controlled suspension, a Harman/Kardon audio system, SiriusXM satellite radio, a navigation system, a power-tilting sunroof and LED headlights. The GLE 63 gets the 5.5L V8 engine, which makes 550 horsepower and can sprint to 60 mph in a claimed 4.2 seconds. Standard features include 20-inch wheels, performance tires, leather seats, multi-zone climate control with rear air conditioning, automatic parking and heated/ventilated front seats. The GLE 63S and GLE 63S Coupe feature the 577-horsepower V8 engine, and with a more performance-oriented suspension and exhaust system, it is the ultimate version of the GLE. 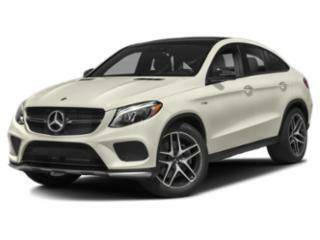 This top of the line GLE also adds 22-inch wheels, larger brakes and a dual moonroof, bringing together the performance and luxury expected from a Mercedes-Benz. A host of safety features are standard in the GLE, which is expected from a high-end luxury SUV. A suite of airbags, traction control, stability control, brake-assist and daytime running lights are standard in all trims. The higher-level trims also come standard with blind spot monitoring, auto-leveling headlights and lane-departure warning. The Mercedes GLE sees several significant updates for the 2019 model year. An exterior design refresh provides a bolder style including an updated front grille and bumper, while the interior gets completely updated including dual 12.3-inch screen gauges and infotainment system. An available active suspension, dubbed "E-Active Body Control" provides more on-road performance with the ability to control the spring and damper for each wheel separately. 2019 models will also offer a third-row seat, making room for up to 7 passengers, thanks to a longer wheelbase. The GLE is a mid-sized luxury SUV that competes with vehicles such as the BMW X5 and the Audi Q7. Starting at around $56,000, the GLE comes in a variety of different flavors, offering everything from a powerful yet efficient V6, to a 577 horsepower performance machine. Quality lives up to the usual Mercedes high standards, with a technology rich interior and luxurious leather appointments. The high performance AMG models push the limits of performance and luxury for an unforgettable drive.